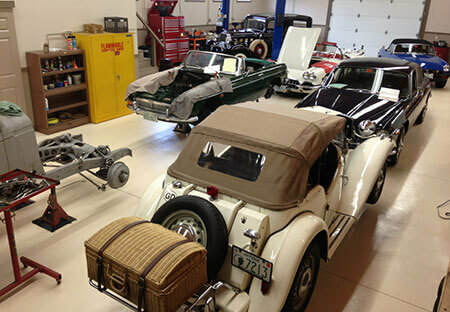 Historic Motor Sports helps collectors and car buffs find and purchase their ideal vintage or classic automobiles. Historic Motor Sports helps classic automobile buyers take the work and risk out of finding and purchasing vintage automobiles and collector vehicles. Our buyers include car enthusiasts and collectors from around the world who are passionate about vintage and classic vehicles and are discerning about the ones they choose to purchase. We offer a select group of investment grade classics on consignment, as well as the tools to locate and procure vehicles that meet or exceed our clients expectations. Once located, if a vehicle is not completely sorted out, we have ASE Certified Mechanics on staff to complete any necessary repairs. Let our decades of buying experience help you narrow the field and identify “the right car at the right price.” We look at every purchase as an investment that should hold or gain in value while providing you enjoyment of ownership.